Superman is a hero that was originally published by DC Comics since 1938. Superman is alien named Kal-El from the destroyed planet Krypton, but was raised on earth. 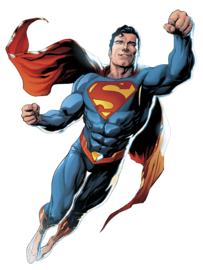 Superman has been the subject of many comics, books, television series, and video games.